Detroit Tiger third baseman Miguel Carbrera, above, is trying to do something no ballplayer has done in 45 years — win a Triple Crown. The last Triple Crown winner was Boston’s Carl Yastrzemski, who led the American League in all three major batting categories in 1967. If Cabrera wins out, he will become the just the second Tiger in history to win a Triple Crown, joining all-time batting leader Ty Cobb, who won the honors in 1909. Here are 10 things you may not know about the MLB Triple Crown. There have been 17 Triple Crowns in baseball history, with 15 different players winning the honor. 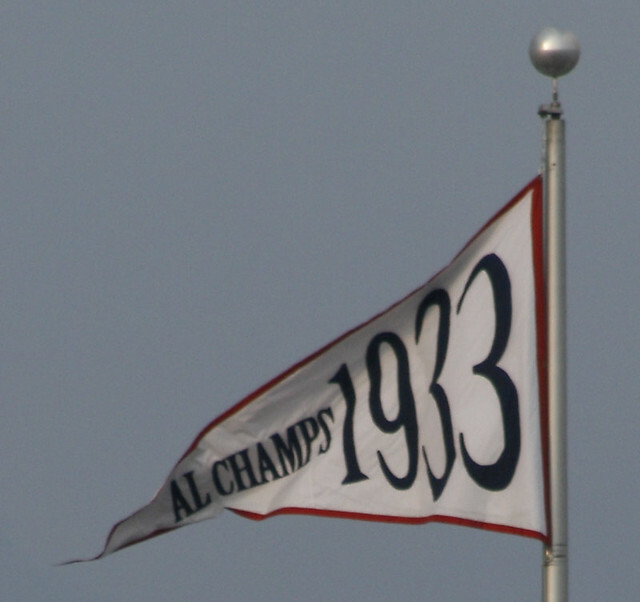 The American League has seen nine Triple Crowns and the National League seven. Canadian Tip O’Neill of the St. Louis Browns was the only player from the American Association to win a Triple Crown, way back in 1887. Rogers Hornsby (1922 and 1925) and Ted Williams (1942 and 1947), shown right, are the only two-time Triple Crown winners. Paul Hines of the Providence Grays was the first Triple Crown winner, taking National League honors in 1878. 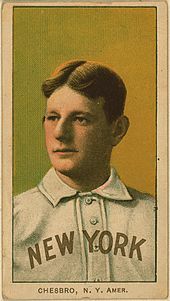 The highest batting average for a Triple Crown winner was Hugh Duffy of the Boston Braves, who hit .438 in 1894, still MLB’s single season record. Nap Lajoie of Philadelphia led the American League with a .426 average for the Philadelphia A’s in 1901. National League Triple Crown winner Rogers Hornsby hit .401 in 1922 and .403 in 1925 with the St. Louis Cardinals. The Yankees’ Lou Gehrig knocked in 165 runs in 1934, most ever for a Triple Crown winner. Jimmie Foxx had 163 for the Philadelphia A’s in 1933. The last National Leaguer to win Triple Crown was Joe “Ducky” Medwick, way back in 1937, some 75 years ago. The only Triple Crown winners not elected to the Hall of Fame were the first two winners — Paul Hines and Tip O’Neill — and Heinie Zimmerman of the 1912 Cubs. Stephen Strasburg’s season is over. Finished. Done. All for the sake of extra innings. The Nationals are shutting down their best pitcher, a young stud who gives them their best chance to end a Washington championship drought that’s lasted four score and eight years. The Nats are turning into the Washington Generals. You remember the Generals. Clowns. Foils tor the Harlem Globetrotters for oh so many years. The Nats are fools. If they knew going in that 160 innings was the limit for Strasburg, the could have done a better job allotting those innings, stretching out his starts to ensure he was available for the playoffs. A start in May is much less important than a start in October. So now, with a chance to win Washington’s first World Series since 1924, the Nats are waving the white flag for Strasburg. After 159 1/3 innings. Modern baseball. They never did that to Walter Johnson, who pitched the Washington Senators to that 1924 championship. Maybe they should have talked to Strasburg about the shutdown, and together devised a better plan. Phillies pitcher Cole Hamels wonders out loud what Washington is doing. “I know you want to prepare for the future, but if this is your one opportunity to win the World Series, you have to go for broke,” Hamels told Sports Illustrated. The last playoff appearance by any Washington baseball team occurred in 1933. In the midst of the Great Depression, with FDR at the helm, the Senators finished 99-53 to win the American League pennant, a comfortable seven games ahead of the Yankees. That Senator team, managed by Hall of Famer and shortstop Joe Cronin, lost the World Series in five games to the New York Giants. The final game of that World Series was played at Washington’s Griffth Stadium on October 7, 1933, Mark the date. Do the math. Heck throw out the calculator, that’s a long time ago. Almost 79 years. Well DC has not hosted a playoff game since then. The original Senators never got back to the World Series, and vacated Washington prior to the 1961 season for Minnesota. They were immediately replaced by an expansion Senator team, a club that never made the playoffs before leaving for Texas to become the Rangers in 1972. Washington went 33 years without a MLB team to call its own before the Expos left Montreal and became the Nationals in 2005. Since then, the Nats have never finished higher than third in the NL East — until this year that is. And now they’re willing to throw it all away for the sake of a pitch count. 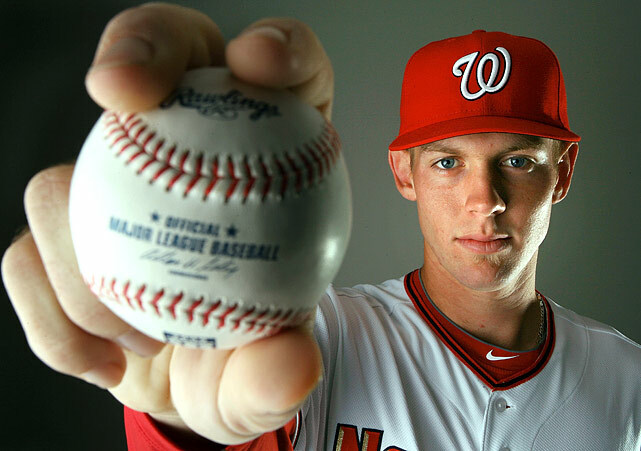 Ask Strasburg how his arm feels. “I feel physically great. That’s the thing,” Strasburg said. “But I think, it’s not just about one player. They want me to be here for many years to come. It’s an unfortunate situation. It’s a lot harder decision because we’ve won this year. In 1933, the surprising Senators put together a 13-game winning streak in mid-August and easily won the American League pennant, 8 1/2 games over the second-place Yankees. General Crowder won 24 times and Earl Whitehill 22 and Jack Russell had 13 saves. In the World Series, the Giants won the first two games at the Polo Grounds, but the Senators won Game Three, 4-0, behind the shutout pitching of Earl Whitehill. The next day, the Giants, behind ace left-hander Carl Hubbell, won 2-1 in 11 innings. Mel Ott’s 10th inning home run then gave New York a 5-4 win and the World Championship the next day. Yanks in the tank: Derek Jeter, Andy Pettitte and Joba Chamberlain feel the heat. The Yankees are on the verge of an epic collapse, the worst regular season meltdown in the storied 110-year history of the franchise. At the end of play on July 18, the Yankees found themselves 10 games in front of the Orioles and 10 1/2 in front of the Rays in the AL East. They were cranking up the presses to print playoff tickets. Instead, they seem to be cracking under the pressure. Since that high-water mark, the Bronx Bombers have played more like the Bronx Bumblers, squandering nearly all of that 10-game advantage. Their homer-happy lineup has failed to hit in the clutch, and the pitching staff has coughed up leads on a regular basis. To put in kindly, they’ve been playing a listless brand of ball for two months. The Yankees have never blown a double digit lead and failed to finish in first place. According to STATS LLC, their biggest cushion in a season in which they failed to finish first was six games in 1933. That year the Yankees led the Washington Senators by six games on June 6, but eventually slipped to second while Washington won the AL flag. Incidentally, that was Washington’s last playoff appearance. Since divisional play began in 1969, New York has advanced to the postseason each of the last 15 times it has been in first place on September 1. In fact, only five times in their history have the Yankees been in first place anytime in the month of September and failed to make the playoffs. The Highlanders, as they were known back then, found themselves in first place after beating the Boston Americans (now the Red Sox) 3-2 on October 7. The next day, Boston swept a doubleheader from the Highlanders to capture the lead with two games left in the season. After an off-day Sunday (Sunday baseball was not permitted in New York at that time) Jack Chesbro’s wild pitch gave the American’s a 3-2 win and the American League pennant. Chesbro won 41 games for the Highlanders that year, still a major league record, but will forever be remembered for that fateful wild pitch. Tied for first as late in mid-September with eight games remaining, the Yankees lost to Detroit the next day. Washington won its first and only title, beating the New York Giants in seven games in a dramatic World Series. With seven games left in the season, the Yankees found themselves in a three-way tie with Cleveland and Boston. The Indians eventually beat the Red Sox in the American League’s first playoff, and then knocked off the Boston Braves for their second — and last — World Championship. Playing their home games at Shea Stadium while Yankee Stadium was being refurbished, the Yankees were in first place with eight games remaining. However the red-hot Baltimore Orioles overtook the Yankees to win the AL East. In 2010, the Yankees and Tampa Bay Rays battled down the stretch for the AL East crown. The two clubs were tied going into the final day of the season. That day the Yanks lost to Boston 8-4 while Tampa beat Kansas City 3-2 in 12 innings. However both teams were already assured playoff spots. So even though they failed to win the division, the Yankees still earned the wild card. Look on the bright side Yankee fans. Nothing could be worse than 2004, when the arch-rival Red Sox came back from a 3-0 deficit to beat the Yankees in the ALCS — the only time in baseball history that’s ever happened . Yep, Boston snapped the Curse of the Bambino and their 86-year championship drought, while the Yankees were left to ponder their fate.